Welcome to Dukes A&W – Your Leading Hitch, Truck Accessories, Installation and Trailer Repair Place. Let us outfit your vehicles with Snow Plows & Salt Spreaders along with any Trailer Modification and Fleet Customization of your work truck fleet. When it comes to your shop or business supply needs, we source over 100,000 Automotive, Electrical, & Shop Supplies “filling” your bins so you can focus on your business. Our ON-LINE STORE is ALWAYS OPEN!!! Dukes A&W is an OFFICIAL PREFERRED WARRANTY AND REPAIR FACILITY FOR DOUBLE D TRAILERS. Dukes’ Professional Staff and Technicians have over 300 years of combined experience in Trailer Hitches, Truck Accessories, Trailer Repair and Modification, Automotive, Electrical & Shop Supplies and are passionate about exceeding your expectations. Our dedicated team of professionals make you and your business a priority. We strive to form long-term relationships by delivering superior quality at the right price. We love our customers and treat them like family! We only sell products that have been proven to perform. All products are tested in our shop to ensure the quality and performance will do what you expect. Dukes’ constantly searches for products that balance superior quality and performance at a reasonable price. 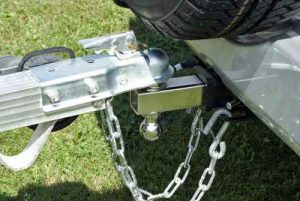 We provides trailer hitches, truck & auto accessories, trailer parts, and installation services and trailer modification throughout the Kentucky & Southern Indiana areas. Since 1928, Dukes A&W has continually grown and expanded due to its dedication to customer loyalty, quality products and service. Dukes A&W has professional installers and trailer repair specialists who will install your products, troubleshoot, and repair your vehicles. Our company has four generations of experience in the vehicle hitch, installation and trailer repair business. WE CAN DO IT! 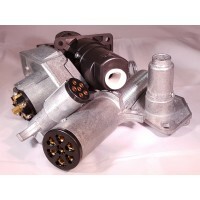 We can maintain your parts and supplies at your locations. Dukes A&W has knowledgeable outside sales professionals with access to over 100,000 automotive, electrical, shop supplies to manage your parts-room. Our sales professionals partner with you to determine the right amount of stock, and fill your bins at regular intervals to ensure you have what you need when you need it. We help you manage your inventory expense. In addition, as your business grows and your needs expand we can source additional products for you to support that growth. YOU CAN DO IT! If you would rather maintain your parts and supplies yourself, we have a convenient on-line customer access system which allows you to order parts and supplies 24/7 at your pricing and shipped or delivered directly to your locations anywhere in the USA. Call (502) 961-0903 or CONTACT us to get started!